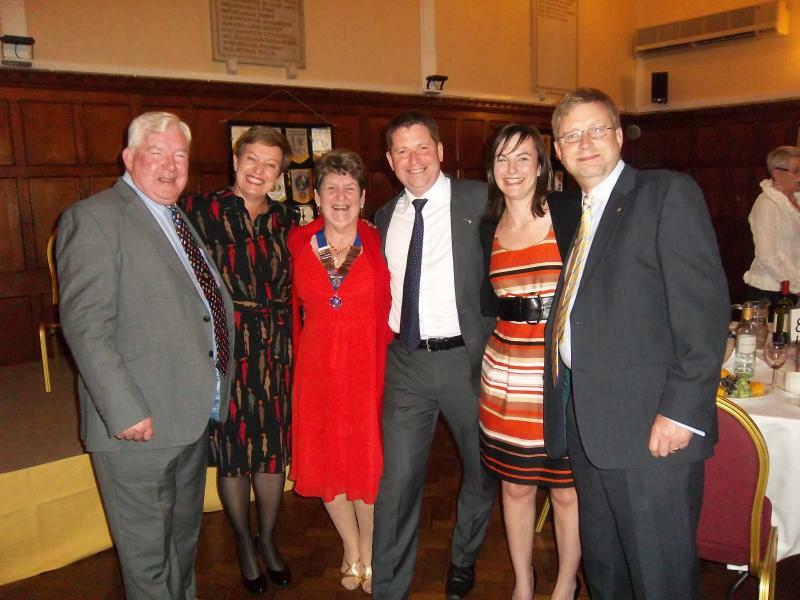 Rotarians from our Contact Clubs, Poitiers Futuroscope and Darmstadt Kranichstein came to Westgate & Birchington for our annual reunion. 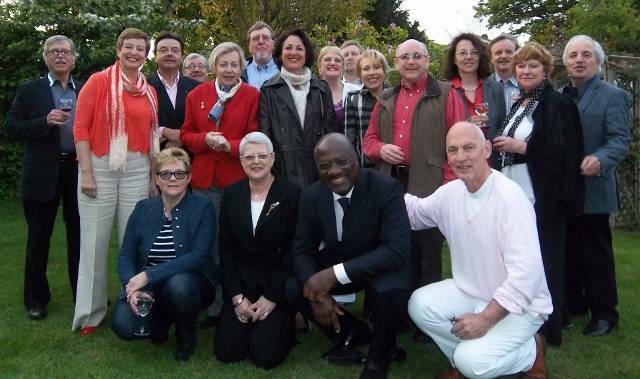 We were delighted to welcome our friends from France & Germany for the annual Contact Club Reunion. We operate a three-year rotation and we travelled to Darmstadt in 2010, to France in 2011 and were the "home team hosts" this year. The delegation arrived on Thursday afternoon, 17th May, (Ascension Day is the annual trigger) and assembled first "Chez Hedges" for Pimms & nibbles before going off to install themselves in their hosts houses. Patrick & Christine Bonnin stayed with Chris & Hazel Hedges; Jean & Claire Bordonneau stayed with John & Margaret Hawkins; Magloire Kinde & Anne Catherine Risse stayed with Charlie & Rose Brightling; Deiter & Ingrid Hoffmann stayed with John & Maureen Dunderdale. 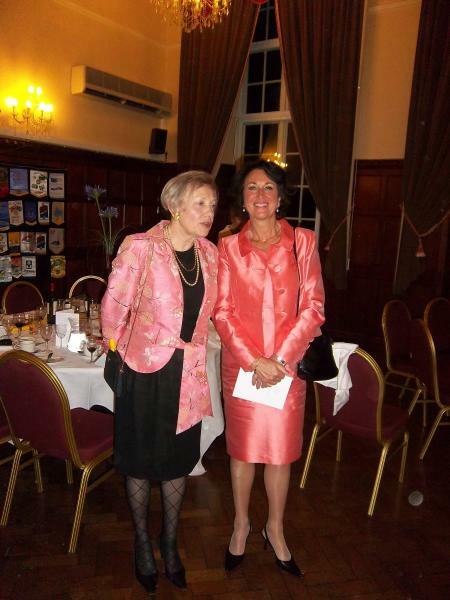 On the Thursday evening the visitors, together with members of Westgate & Birchington RC enjoyed dinner parties thrown by Rotarians Dondi, Dunderdale, Hedges, Hawkins & Johnson. On the Friday morning everyone assembled at Hornby Hobbies HQ at Westwood and spent an interesting hour looking at the exhibitions. We were particularly delighted to be able see the recently discovered models of British and European Cathedrals which had languished beneath Canterbury Cathedral for years, gathering dust. We then piled into cars and went in different directions for coffee. Some went to Westwood Cross (when the going gets tough, the tough go shopping!) 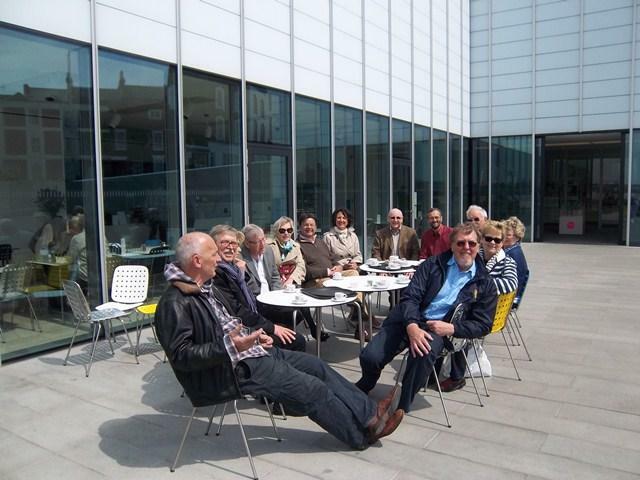 others went down to the sea-front at Margate and visited the Turner Contemporary Gallery (sadly no major exhibition that day, but at least Rodin's "The Kiss" was still on show) where the warm sunshine allowed us to have coffee on the terrace. Everyone then homed in on "The Jolly Farmer" at Manston and enjoyed an excellent lunch of Fish & Chips or Game Pie in their splendid new conservatory. Completely bloated, we needed exercise! Just as well, then, that the afternoon programme consisted of a guided walk around Sandwich! 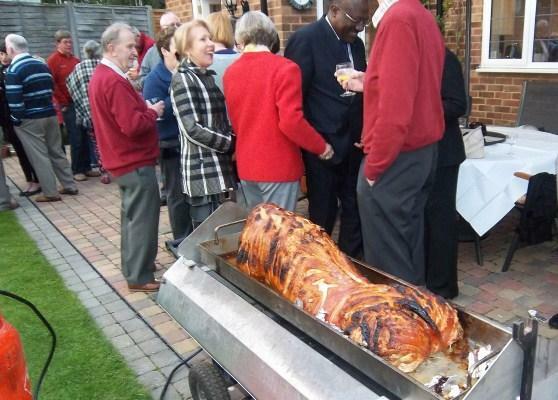 In need of further sustenance, it was just as well that Friday evening was the formal dinner at St Augustines in Westgate. After a drinks reception in the splendid Chapel, we were treated to Venison Terrine, Rack of Lamb, Toffee Cheesecake, Cheese & biscuits all washed down with lashings of wine. 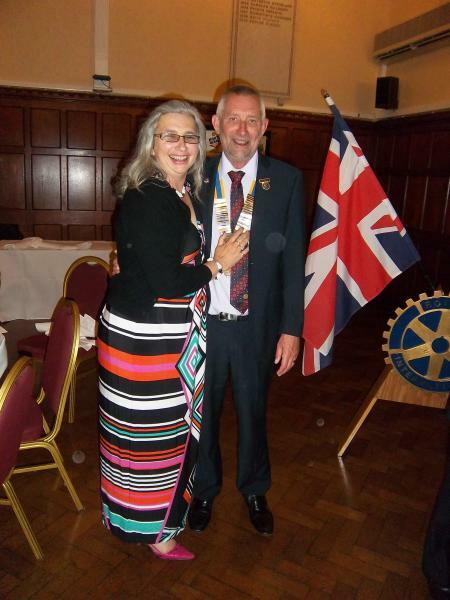 There were formal speeches by all three Presidents and an important ceremony during which Allen Cox and Roger Hobcraft were presented with Paul Harris Fellowships by District Governor Lynn Mitchell. Quite early on the Saturday morning we set off by coach to Brogdale Farm, the National Fruit Collection, at Faversham to be conducted by tractor-towed charabanc around the extensive fields which are home to literally thousands of varieties of Apple, Pear, Cherry, Currant & Gooseberry. It is a vital genetic bank which aims to preserve the world-record collection of fruit trees. Hungry again (!) 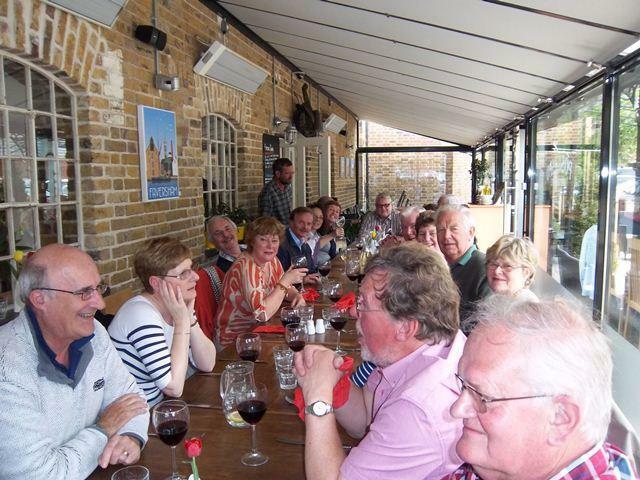 we moved to Faversham town centre to sample a magnificent Italian lunch at Posillipos by the side of The Creek again accompanied by many litres of wine! After a very filling lunch, more exercise was required and so we all went for a walk around Faversham and were able to profit from an interesting market and a display of vintage cars and buses. Early on Sunday morning, the French visitors assembled at the Brightlings' ready to depart for the drive to Folkestone and the Channel Tunnel. They arrived safely home in Poitiers in the early evening. 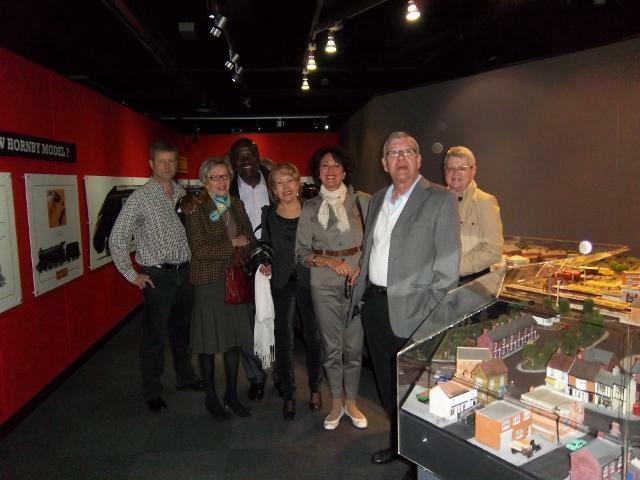 Our German visitors stayed on in England for a few days sightseeing before flying back to Frankfurt. 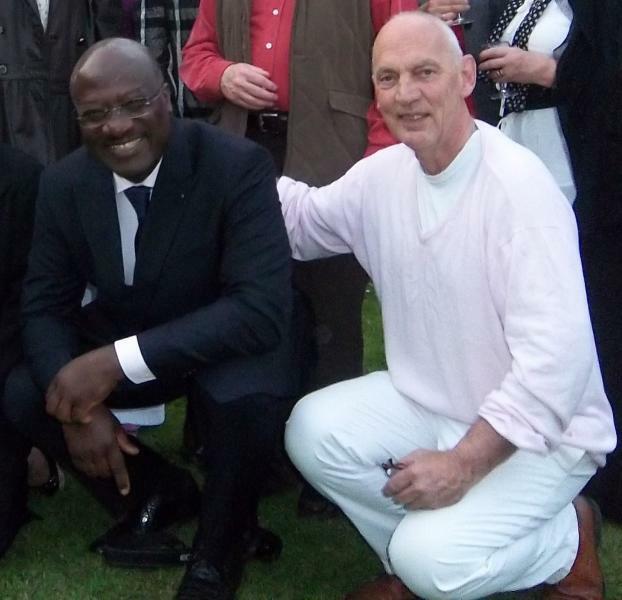 We are looking forward to keeping up the 30-year old tradition of Club Reunions next year by assembling in Germany.